This is a funny graph showing the different stages of a photographer. It’s been around for a while but it’s still a great representation. See the full-sized image here. 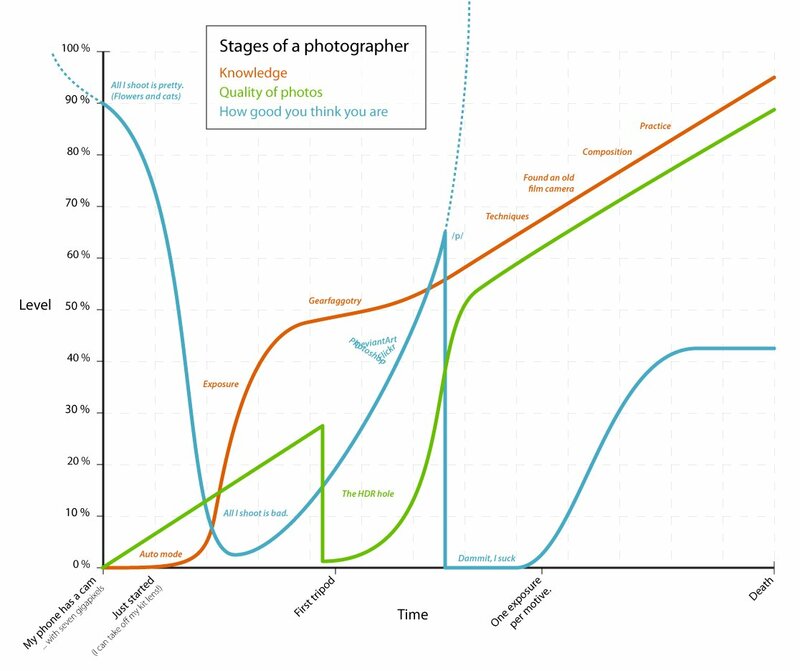 3 Comments on "Stages of a Photographer"
I don’t know why but the “How good you think you are” part is hilarious! What’s /p/, by the way?